The Grassy Knoll Has Been Re-landscaped. 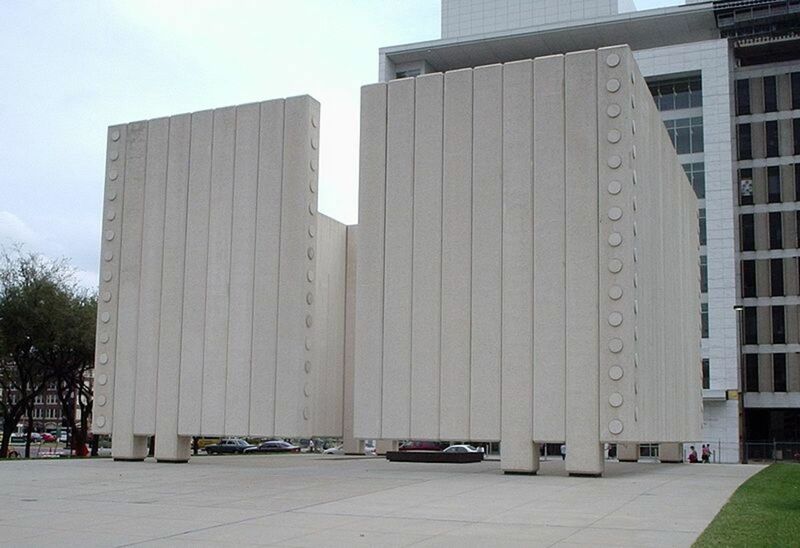 Dallas, Texas is the site of a John F. Kennedy Memorial Plaza opened with a dedication on June 24, 1970, almost seven years after the President's assassination. This particular memorial is not located at Dealey Plaza, although a plaque with a Kennedy quote is featured there. Many people wonder about the lack of a statue at the Plaza. The official Memorial Plaza was built behind the Dallas County government office complex, approximately 200 feet east of Dealey Plaza, on land donated at 646 Main Street (see map below). Some travel web sites and visitor comments around the Internet mention a statue of Kennedy on the Memorial Plaza, but new visitors will have a difficult job in finding such a statue. People wonder why the statue is obscure, as if hidden. Meanwhile, Dealey Plaza has been undergoing regular renovations and new landscaping for several years, escalated in 2000 for the 40th and 50th Anniversary remembrances. 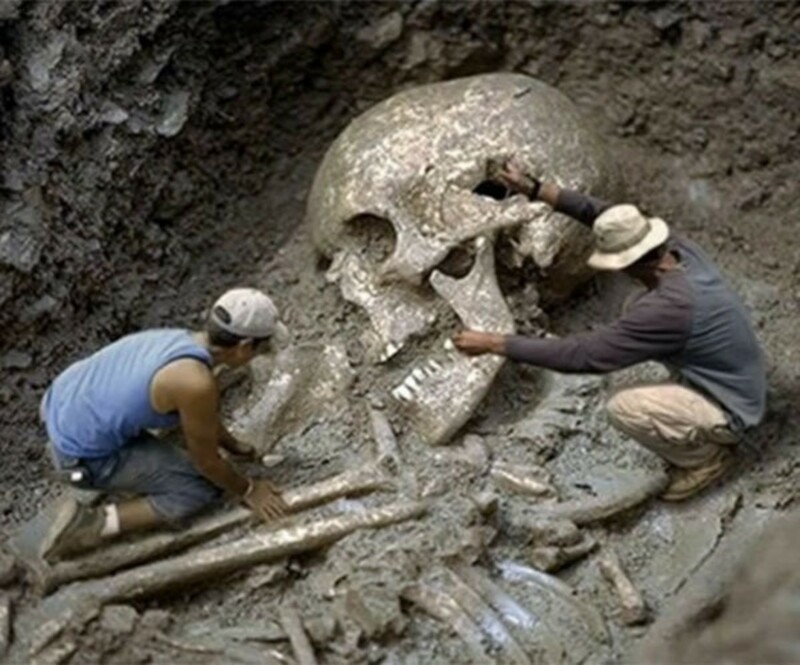 Skeptical individuals may feel that a large chunk of evidence disappeared in the reconstruction. The Grassy Knoll has been re-landscaped and much of Dealey Plaza has been refurbished. Along with the missing inner architecture of the School Book Depository, these changes make results of further study of the assassination site probably invalid. Formerly known as the Front Door of Dallas and now as a murder site, Dealey Plaza was proclaimed a National Historic Landmark District in October 1993 by the US Department of the Interior. The site was originally developed under the New Deal during The Great Depression. The City and County of Dallas have revitalized Dealey Plaza, rebuilding parts of the buildings, pergolas, curbs, street pavements, and landscaping. The landscaping in 2013 was reported to match that of November 1963 in time the 50th Anniversary remembrance ceremony. Have assassination evidence and tourist landmarks been obliterated in recent years? The joy and excitement of John Fitzgerald Kennedy's life belonged to all men. So did the pain and sorrow of his death. Kennedy's words were inscribed on a plaque in 2-inch-high letters on a steel and stone background measuring 3.5 feet wide by 15 feet long, placed on ground of the grassy knoll. Area of the plaque is 52.5 square feet - large enough to be noticeable. The large surface area of the plaque may or may not violate National Park Service regulations in a National Historic District. New photos should have been available in the news shortly after the 2013 ceremonies and a photo of it appeared on a blog here. A full 5,000 guests were invited to accept tickets to the 50th Anniversary remembrance ceremony, but each invited quest needed a criminal background check in order to accept. The infamous Westboro Church planned a protest demonstration for Dealey Plaza, based on what they described as JFK's moral failings, although they used much harsher language than "moral failings." 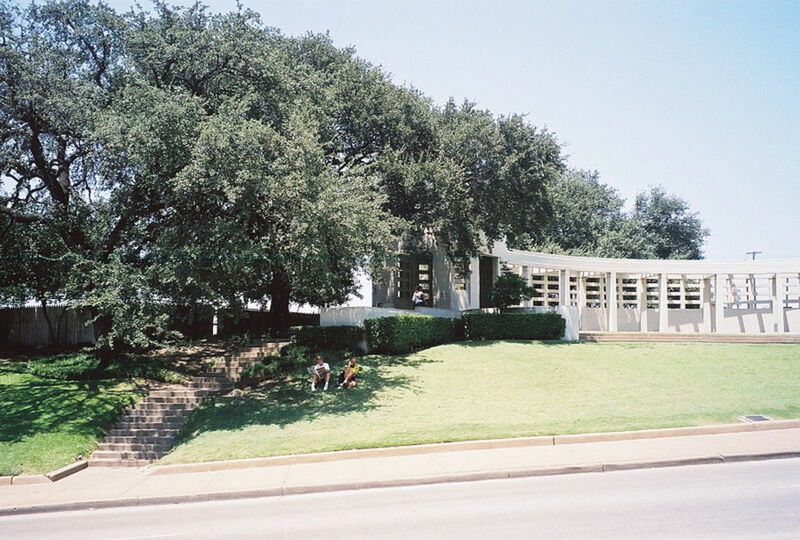 Between May and November of 2013, a plaque containing the words of John F. Kennedy was installed in the ground on the grassy knoll from where many people feel a sniper made the fatal shot to the President's head. Up until the autumn of 2013, a large banner shouting GRASSY KNOLL had stood there. The JFK plaque was installed without a ceremony or a comment from the City or County of Dallas. It was rumored to have been defaced before the 50th Anniversary of the assassination, but I cannot find an image of the damage. A separate and much older plaque on the School Book Depository building has been defaced numerous times, vandals spray painting out the name of Lee Harvey Oswald and underlining the word allegedly (allegedly shot Kennedy). The plaque has been restored several times, but militant skeptics continue to protest. Plaques of words and diagrams fill Dealey Plaza now to make it a sort of outdoor museum. However, journalist Riis Christensen, writing for D Real Estate Daily, tells us that 95% of the 2013 Dallas population did not live in the city in 1963 and that most current residents do not remember John. F. Kennedy (reference:http://realestate.dmagazine.com/2013/11/riis-christensen-411-elm-street-cradle-of-evil/ Retrieved November 20, 2013). Why is the 1970 JFK Memorial so far from Dealey Plaza? In cooperation with The Sixth Floor Museum at Dealey Plaza, EarthCam has positioned a webcam in the southeast window on the sixth floor of the former Texas School Book Depository in Dallas. This is the site where an assassin is alleged to have fired. The memorial on Main Street is a concrete room with no roof, 50' x 50' x 30' in dimensions. In the center is a stone square embossed with the name John Fitzgerald Kennedy and at night, the structure is illuminated and meant to look as if the spirit of Kennedy's light in the world supports the building. It may be a nod toward the empoty tomb of Jesus on Ressurection Day, but it is a little eerie in appearance. Meant to represent an empty tomb which cannot hold the spirit of the former President, the memorial confused the public, because there were no plaques or brochures to tell them what it is and what it symbolizes. There is, in fact, no statue of the 35th President. A statue was placed in a plaza in Fort Worth, Texas. Some bad feelings toward JFK and his political and social agendas seem rampant still in Dallas and a staute of him in Dealey Plaza would surely be defaced - perhaps pulled down. Confusion about the memorial tomb and visitor interest at Dealey Plaza led to the founding of the Sixth Floor Museum in the former Texas School Book Depository at 411 Elm Street. The Memorial Plaza was refurbished and rededicated on June 24, 2000. Yearly maintenance and refurbishing are conducted by staff of the museum on Elm Street, with special attention in 2003 and 2013 anniversary years. Two windows and frames, along with a whole wall were removed by the US Federal Government from the Sixth Floor Museum. This may be evidence in the assassination case of John F. Kennedy. An excellent handling of research into the Oswald story by author Thomas Mallon. On President's Day 1989, The Sixth Floor Museum opened to visitors during this last year of the double term of former actor Ronald Reagan's presidential administration. Today, adult admission is $16 per person. While the museum boasts that several areas of the sixth floor have been carefully restored to 1963 status, it fails to report that two of its windows - frames and glass in entirety - and a wall were removed in 1963. This is important - two windows with window frames and an entire wall were removed by the federal government. Why? Surprisingly, the windows appeared on eBay later and were purchased, the buyer now unknown. One of the windows was reportedly the window at which Lee Harvey Oswald stood. Thus, evidence in the assassination case has been missing since almost immediately after Kennedy's death. The Henry Ford Museum in the Detroit Area lists JFK's limousine from the 1963 tragedy as a display put up many years after the assassination. However, I saw the limo there in early August 1964 and wondered why the damages had been repaired, and so quickly. Why is the date of the display inaccurate now? In July 2010, before the 50th Anniversary of the assassination, the Dealy Plaza museum opened the Reading Room to visitors. There, visitors can read information about the assassination and legacy of President John F. Kennedy. However, a visit to the room rather shows that the gist of the materials accepts the lone-shooter explanation for the murder, despite the other evidence to the contrary in the collection.However, visitors are encouraged to decide for themselves. For much other evidence, author Robert Groden keeps a display table set up outside on Dealey Plaza in order to speak with visitors and sell his five comprehensive books of research and photographs on the topic. Robert Groden claims to be the vendor that placed the large white X on elm Street at the site at which Kennedy suffered the fatal bullet impact to the head. That part of the street was torn up and repaved just before the November 2013 anniversary remembrance ceremony. Before that, visitors had liked to stand on the X and have their photos taken. Lee Harvey Oswald's hideout in Mrs. Paynes Garage and House is now open to the public as a tourist attraction as well. Who May Be Quashing an Investigation? Mr. Groden has been arrested or ticketed at least 81 times in the past decades before November 22, 2013. He has always been cleared of all charges in each case, despite attempts to remove him from Dealey Plaza. However, Groden was denied an entry ticket for the 50th Anniversary ceremony and was banned from the Dealey Plaza for that time period. Undoubtedly, he will reclaim his spot as soon as he can, but it seems the government did not want him around on the anniversary date. Interestingly, a museum shop and even a cafe were opened during the summer of 2010 at 501 Elm Street, near the former School Book Depository. We will ever know all the facts about the 1963 assassination? New books and films released in 2013 may help us understand the events and the politics involved. The Air Force One jet of President Kennedy is so tightly cordoned off into a narrow corridor inside that most of the public cannot walk through it to view its interior, even though it is open to the public. I saw children unable to walk through, while their mothers screamed for help for them. The plane sits in the new, fourth hangar at the US Air Force National Museum in Dayton, Ohio. The photo above features a historic plane that has severed several US Presidents. 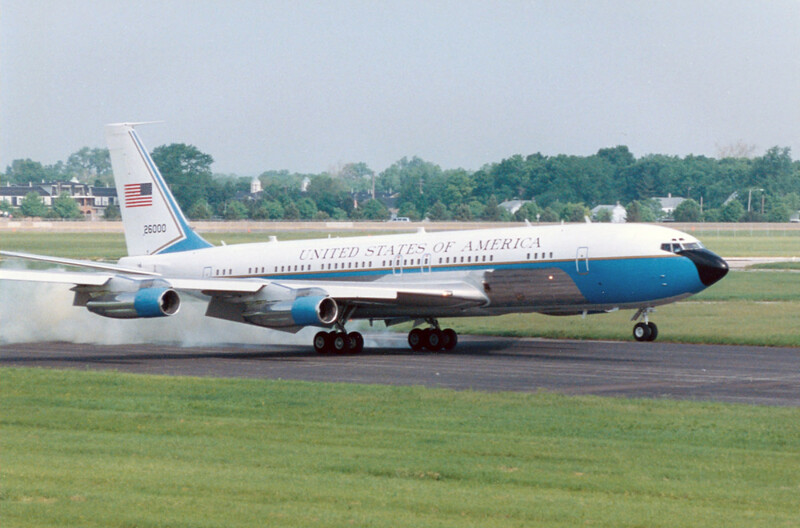 The US Air Force Boeing VC-137C aircraft was the first jet made specifically for the President. Constructed in 1962, it was used until well into 1998. It sits in the Presidential Gallery of the National Museum of the US Air Force on Wright Patterson Air Force Base in Dayton/Fairborn, Ohio in the state's Space Corridor and large Heritage of Flight District. Admission and shuttle buses to the Presidential Gallery are free. The plane moves to the expanded museum proper in late 2015. Memorials are located in the hospital as well as on Dealey Plaza. The film "Parkland" portrays reactions of Dallas citizens and police to the crime. As a teen, Meat Loaf had gone to Love Field with friends to see JFK. Missing him, the group drove on to Dealey Plaza, hearing the sad news on the way. On the day J. F. K. was assassinated a group of boys one of which was myself were training to be alter boys at the local Catholic church. We were doing prayers at the various stations of the cross when one of the priests came into the church to tearfully announce Kennedy's death. This also happened on what was destined to be a very unhappy birthday for me. Over the years I was struck by the remarkable co-incidences between the Kennedy and Lincoln assassinations - Lincoln was assassinated in a theater and Kennedy's supposed assassin was hiding in a theater. 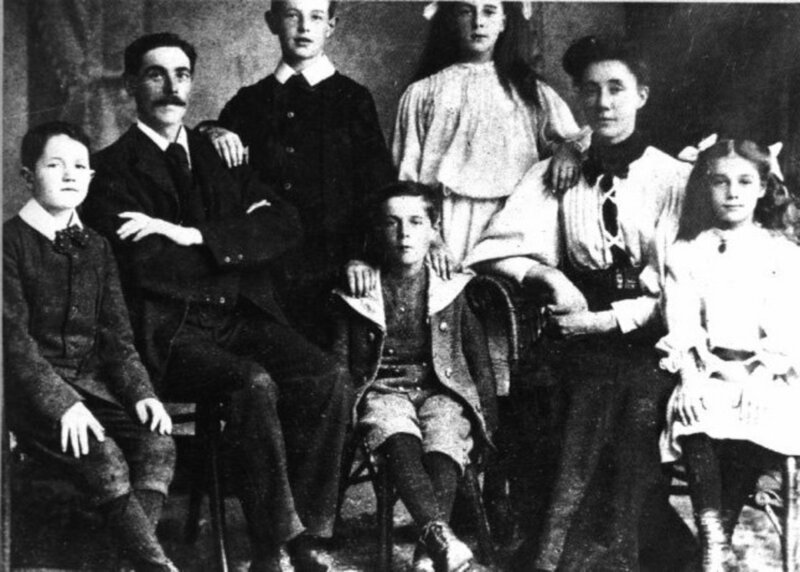 Both were fairly young , married to influential wives , had relatives who died relatively close together - one of Lincoln's boys and Kennedy's son and brother. 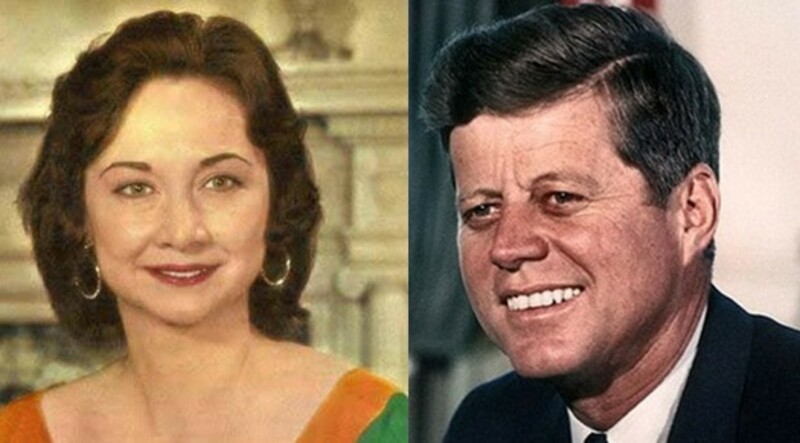 Both families had some association with mental illness - Lincoln's wife and Kennedy's sister. Both presidents had printed up United States Bank Notes before they were assassinated . Lincoln printed up the "Greenback"
Kennedy printed up the silver certificate redeemable in silver. Not sure about the gold certificate though. Haven't checked that out yet! Both knew that the American people as well as their government was being strangled by the payment of interest on money and the printing of money that was not tied to gold that would limit the supply of money that could be printed. 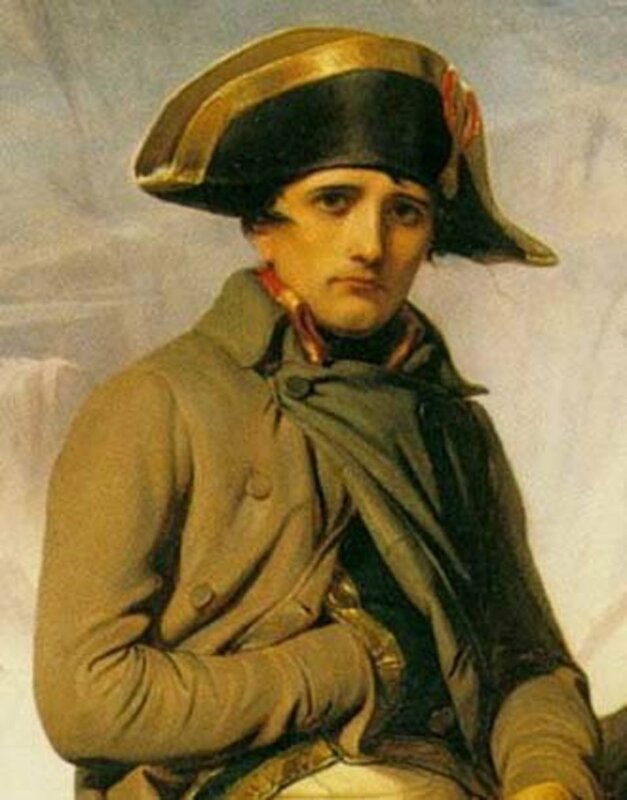 Both had confrontations with military men under their command. This is Awesome Patty, voted up, ABI, shared and pinned. I just went by there today. I had to go downtown Dallas. Do you know about John Hinckley's ties with the bushes also. Neil Bush was best friends with John's brother. Bush Sr. was friends with John's father. If Ronald Regan had died, Bush Sr. would have been president sooner. That's nice of you to say. I still don't know a lot of the details, but I bet more come out after 11/22/13. 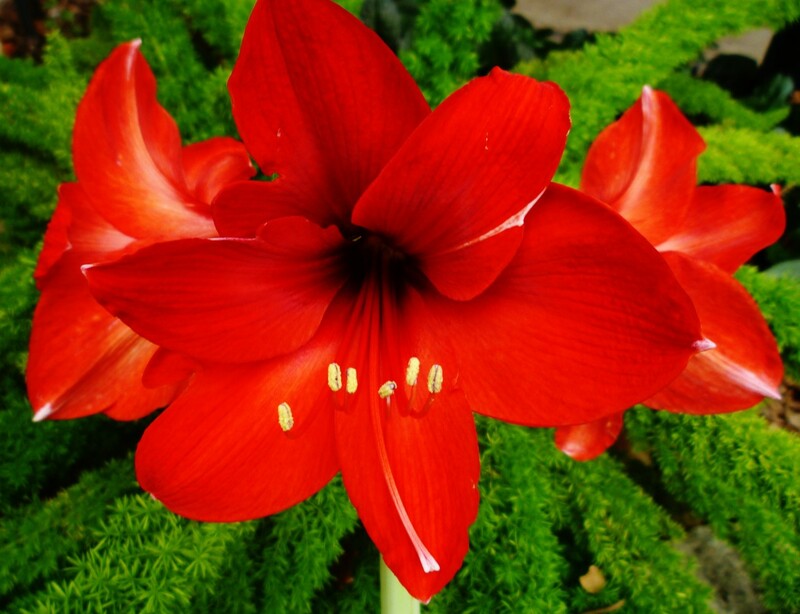 Thank you much Patty. You are a treasure trove of knowledge. @Ericdierker - I don't know what the details of the change of venue were, but do know that VP Johnson controlled the Dallas trip details and advisors told JFK that he needed to persuade Texans early to vote for him in Election 1964. 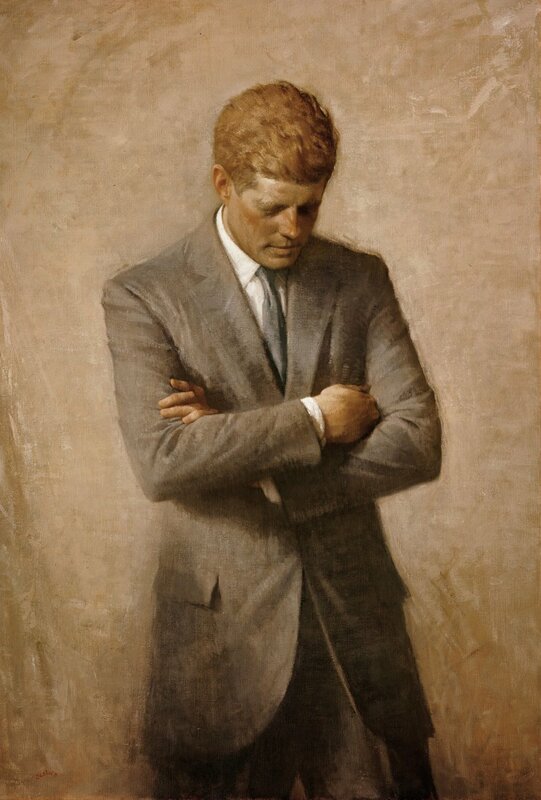 Since Johnson was under investigation for illegal activities and charges were dropped when he became President, some people feel that LBJ was part of a conspiracy to murder Kennedy. The Warren Commission report was finished during LBJ's term as President and some theorists feel that he pushed for the Magic Bullet one-shooter theory to deflect attention from himself (that would make a good movie, either way). In 2013, some conspiracy theorists feel that FOX News is pushing for the one-shooter explanation in order to cover up something else. It's a house of mirrors. Excellent and thank you. Do you know what was the dispute that got Kennedy to cancel his Gettysburg address and go to Dallas? Informative piece on the 50th Anniversary of JFK's murder.